A San Diego businessman accused of defrauding dozens of people will no longer have control of the disputed funds, according to a bankruptcy court ruling. 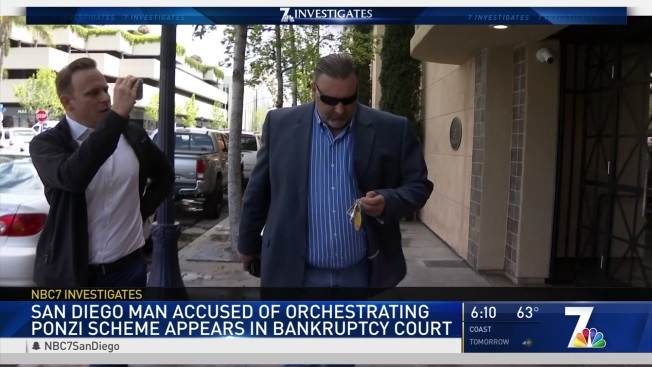 NBC 7 Investigates first reported on Christopher Dougherty in March after 11 investors said he had convinced them to invest millions of dollars in a number of businesses. One of those investments included a 100-acre cattle ranch in Alpine. But those investors said they saw little to no return on their investment. Christopher Dougherty pitched this 100-acre ranch in Alpine to investors as an "organic beef" ranch as well as a location to cultivate marijuana. Those who invested in Dougherty’s business ventures disagree. “He took all of my retirement funds. He took everything,” said Robin Kavanagh. She and her husband, Jim, said they paid Dougherty more than $120,00 and that he never told them about his bankruptcy filing, nor did he reveal that he owned other investors money. The Kavanaghs said they first talked with Dougherty at a school health symposium, where he claimed to be an investment adviser for the San Diego County Office of Education. Court records reveal that Dougherty used "new investment money to pay existing investors," creating the "false impression" that those current investors were making money. 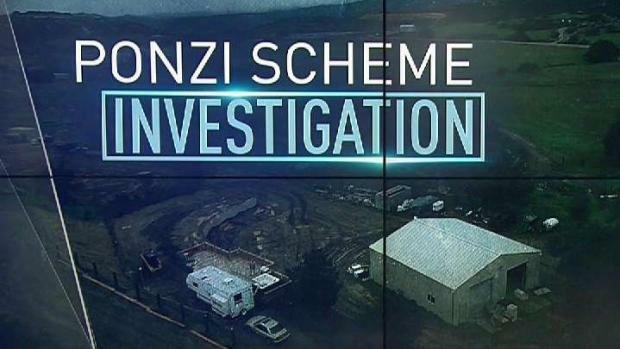 NBC 7 asked Charles Labella, a former federal prosecutor who has worked on Ponzi scheme investigations to review the court filings for Dougherty's bankruptcy case. Labella agreed with the U.S. Bankruptcy Trustee attorney, saying this is a textbook case of a Ponzi scheme. Charles Labella is a former prosecutor of 24 years and has been a receiver for several Ponzi scheme investigations appointed by the Securities Exchange Commission and other government entities. On Thursday, the courtroom for Christopher Dougherty and his wife, Nereida’s bankruptcy hearing was filled with more than a dozen investors anxious to find out if they will ever recoup their investment. Some investors have sued Dougherty for fraud and negligence. In a court filing, Dougherty denied those allegations. While NBC 7 has only spoken to 11 investors, a trustee said Dougherty owes 35 investors at least nine-million-dollars and that there could be more people who are also owed money. Snyder said he gave Dougherty more than $250,000. He claims Dougherty threatened him and a group of other investors when they told him they would hire an attorney to try and get their money back. Nearly three dozen investors across the county said Christopher Dougherty of Poway duped them into a "Ponzi scheme." NBC 7's Mari Payton has more. Representatives from the San Diego County Sheriff's Department and the District Attorney's office told NBC 7 Investigates they are currently investigating Dougherty's business dealings. Dougherty’s attorneys acknowledged that the Securities Exchange Commission is also investigating their client. An SEC representative was present at Thursday’s bankruptcy hearing by phone. Chapter 11 would allow Dougherty to keep running his businesses, under the supervision of the trustee. Judge Turner agreed that Dougherty can’t be trusted to manage his assets, and moved his case to a Chapter 7 bankruptcy filing, which authorizes the trustee to sell all of Dougherty’s assets and distribute the proceeds to his creditors. It’s unclear though if any of Dougherty’s investors will see any money back.